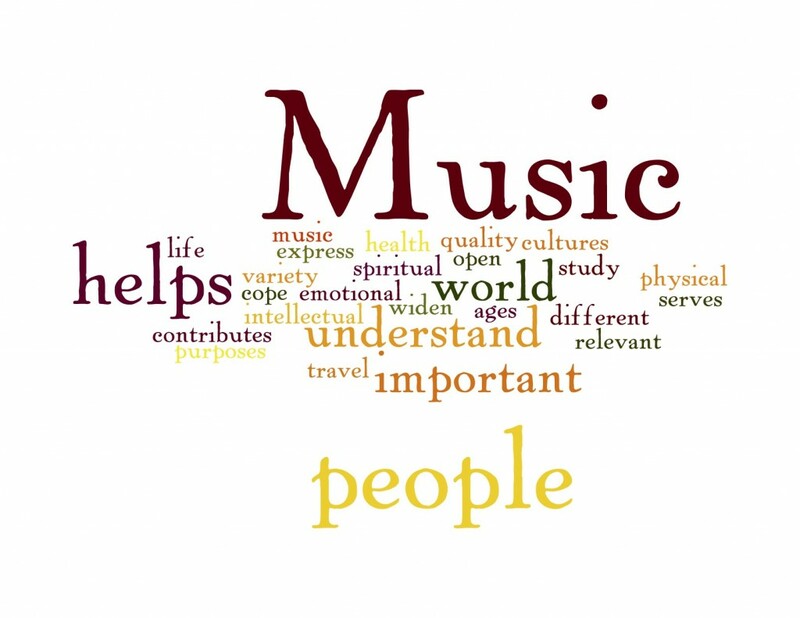 There is much to be gained from the study of any musical creation; through it we learn about life, about living and being human. 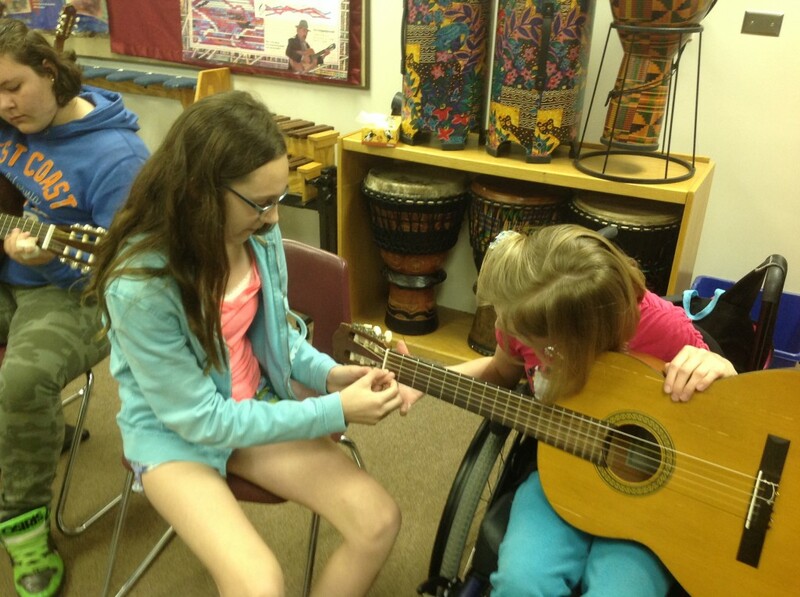 Experimentation with a wide spectrum of music is the purpose of these classes. 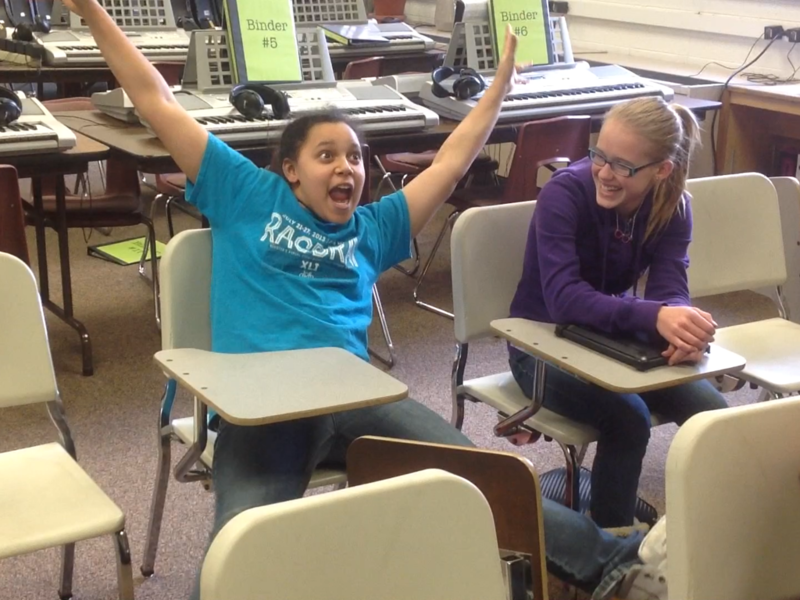 In 6th grade general music, students study music and how it relates to their lives and the world. 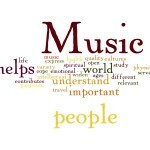 Units of study in general music include the elements of music and how they are expressed through drumming, keyboard, guitar, movie music, musicals, famous musicians, famous compositions, and world music instruments. At Logan Middle this is a required class in 6th grade, although students do not present a live performance as part of this class. 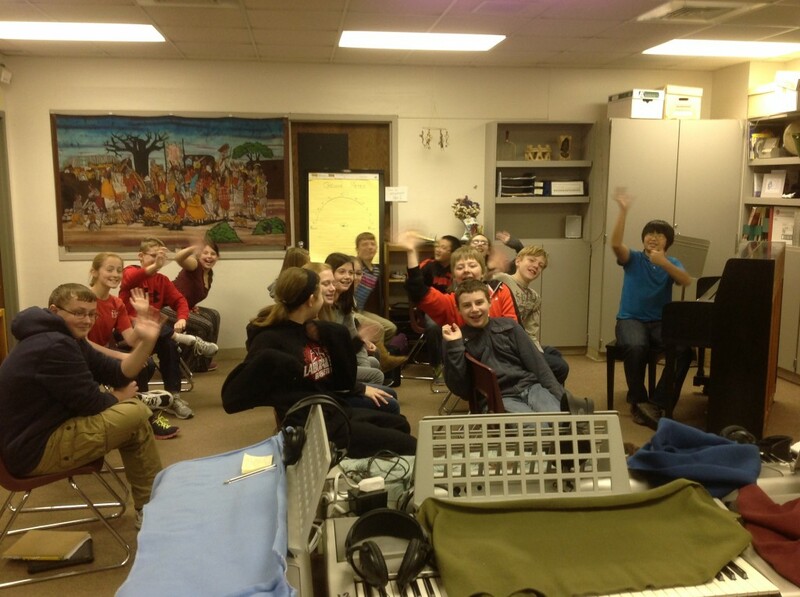 6th grade students at Longfellow who are enrolled in 2 or more performance music classes (band, choir, or orchestra) are not enrolled in general music. In Music Lab, 7th and 8th grade (8th grade is offered only at Logan Middle currently) students experiment with music more deeply. 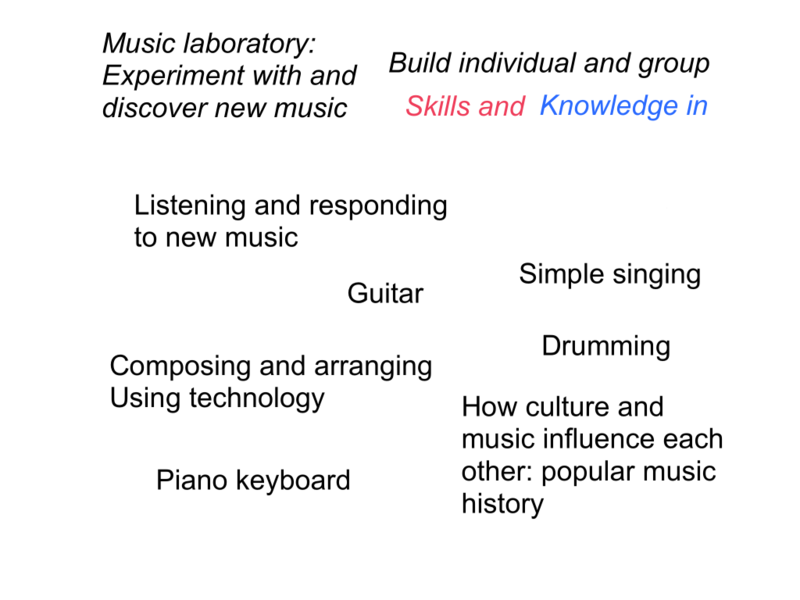 The main units of study include drumming, guitar (bass and electric), keyboards, popular music history, and composing with technology. In 7th and 8th grade students have much more time to practice and build skills on the instruments of a live rock band as well as learn how to create multi track arrangements on their ipad. 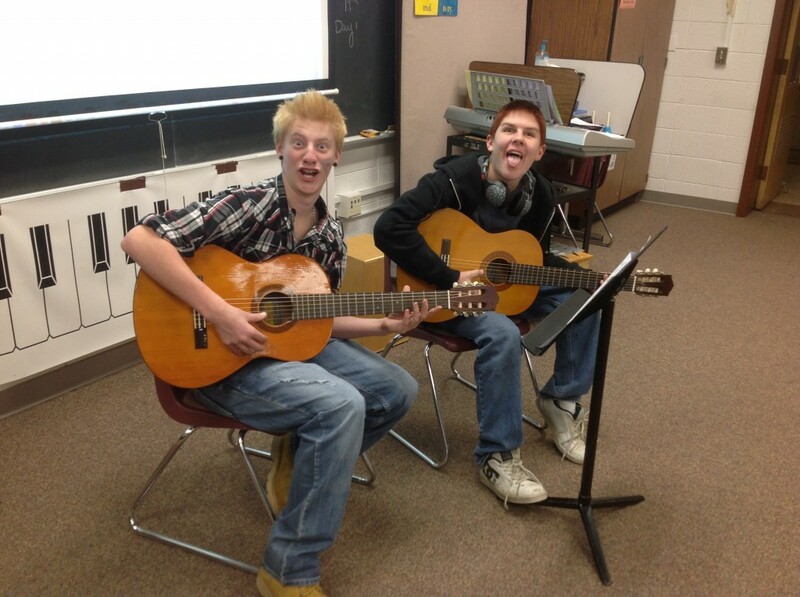 There is not a performance requirement for this class, although many students gain skills that enable them to keep making music on their own if they so choose. 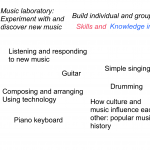 At a glance, what do kids do in Music Lab? What's going on in the Longfellow Music Lab? Longfellow 7th grade Music Lab students begin the year with the Rock History Unit, learning about the culture and artists of the 1950s and 60s. 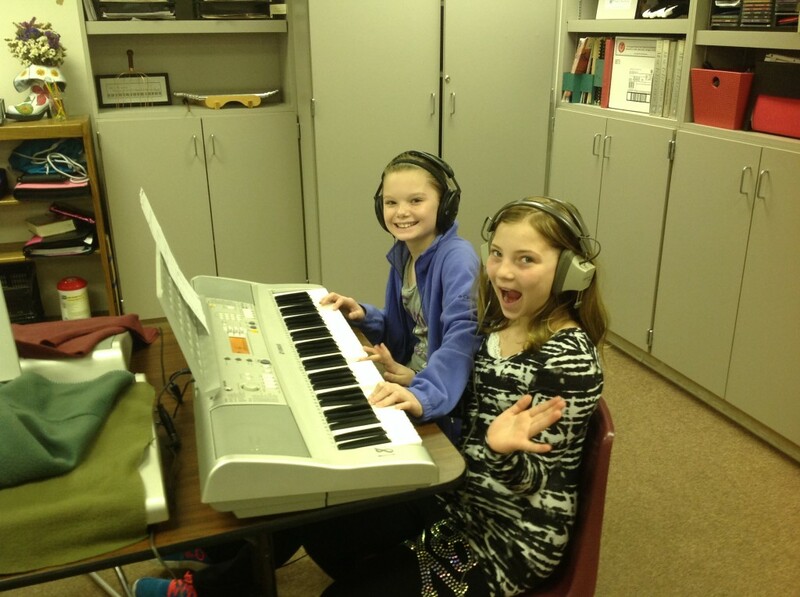 In the middle of the year they study piano keyboard and reading music notation. 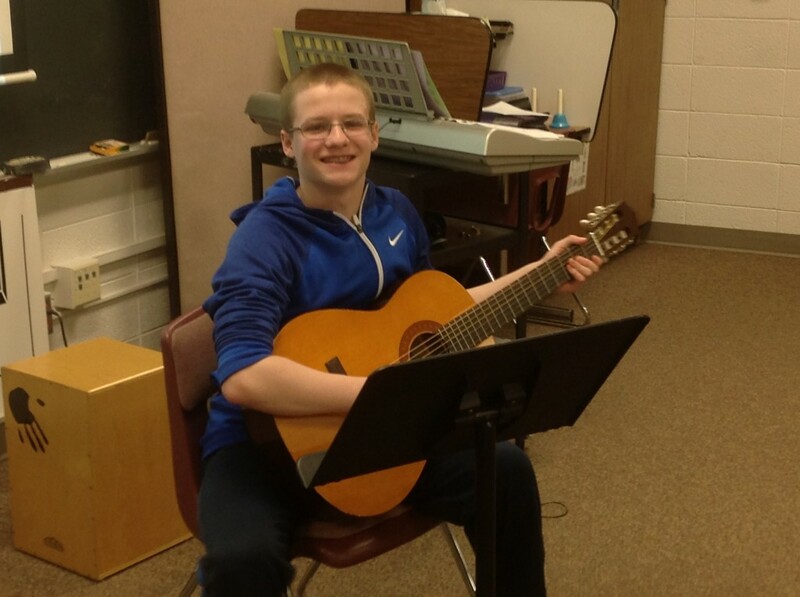 From March through the end of the year students will learn basic guitar skills including the notes on the strings, reading guitar tablature, playing chords, and bass guitar. During the guitar unit students have the opportunity to take turns playing electric and bass guitar and learn a basic rock beat on the drum set. 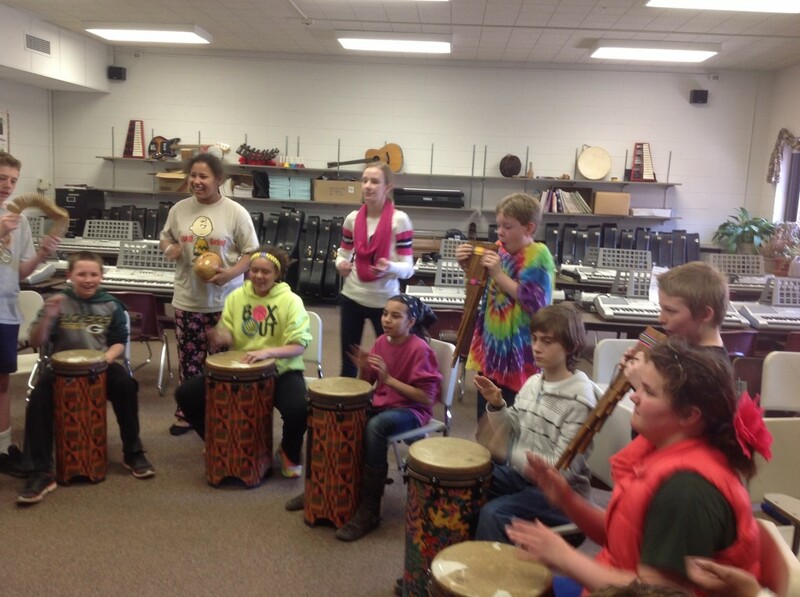 Throughout the year on Fridays, students participate in a drum circle drumming rhythms given to them that fit together and increase their rhythm vocabulary, as well as improvising their own rhythms in a drum jam at the end of the hour. 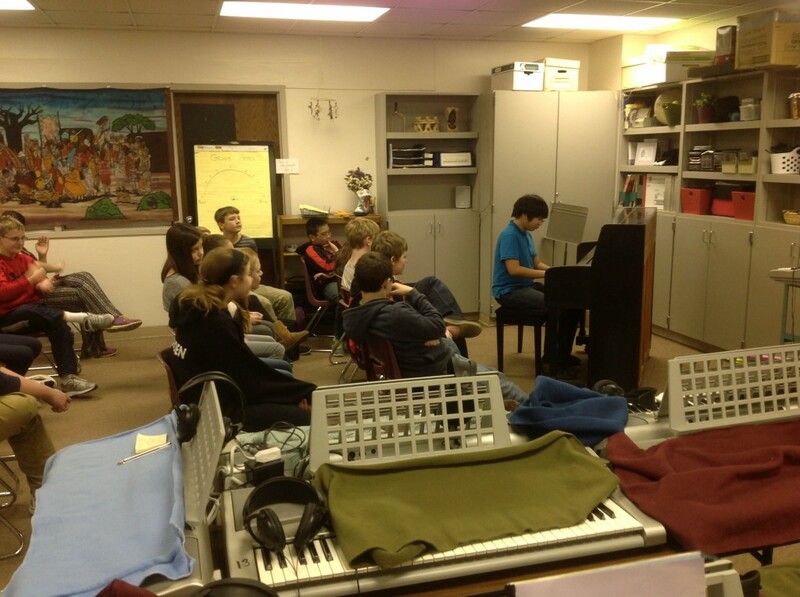 What's going on in the Logan Middle Music Lab? Logan Music Lab students begin the year with the piano keyboards and reading music notation. 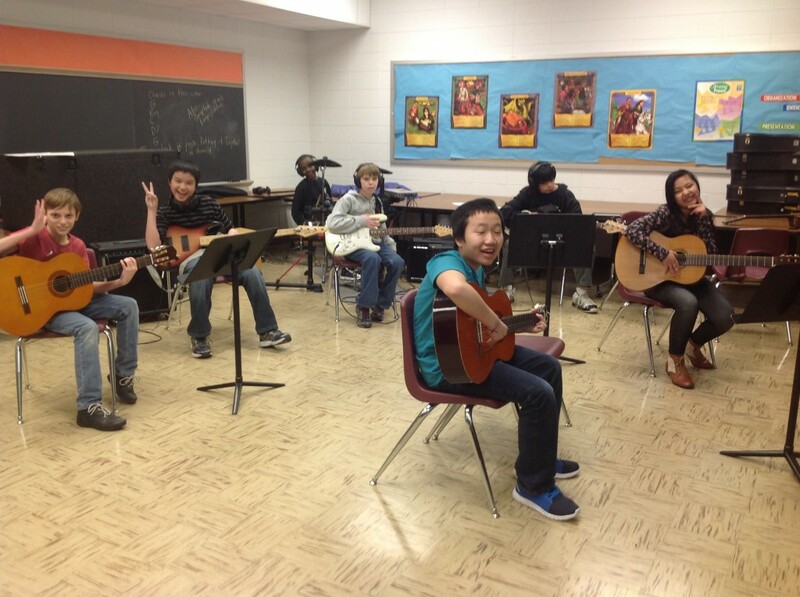 In the middle of the year they learn basic guitar skills including the notes on the strings, reading guitar tablature, playing chords, and bass guitar. 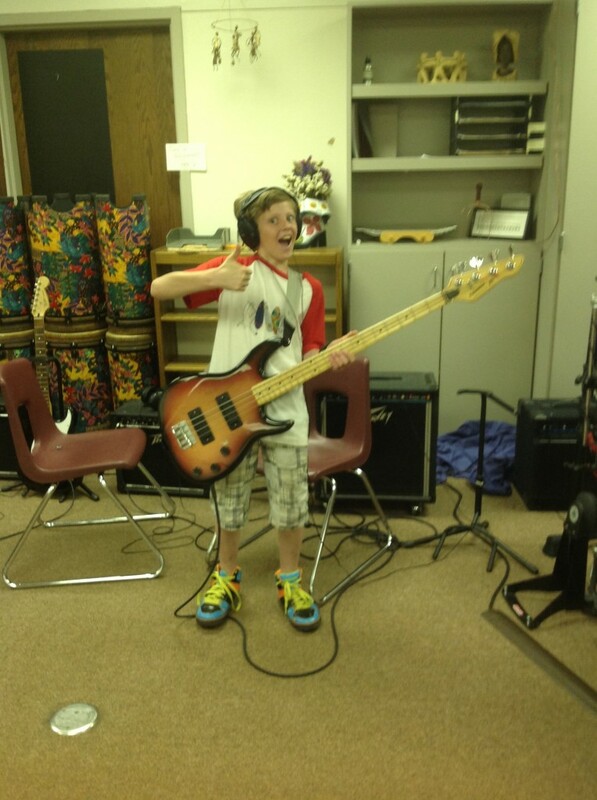 During the guitar unit students have the opportunity to take turns playing electric and bass guitar and learn a basic rock beat on the drum set. From March through the end of the year the students study Rock History, learning about the culture and artists of the 1950s and 60s for 7th grade and 80s – today for 8th grade. 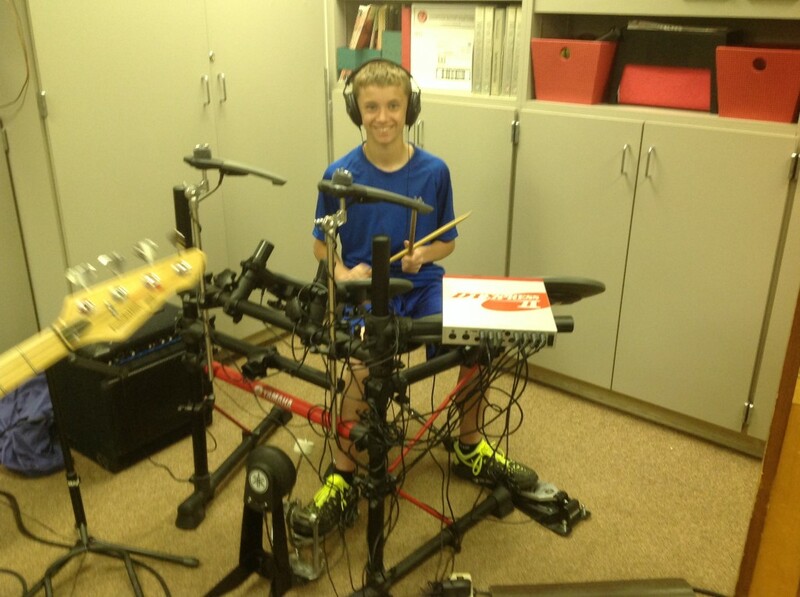 8th graders this year will also create a basic rock band playing their choice of keyboard, guitar, or drums, and working together to prepare a song. Throughout the year on Fridays, students participate in a drum circle drumming rhythms given to them that fit together and increase their rhythm vocabulary, as well as improvising their own rhythms in a drum jam at the end of the hour. 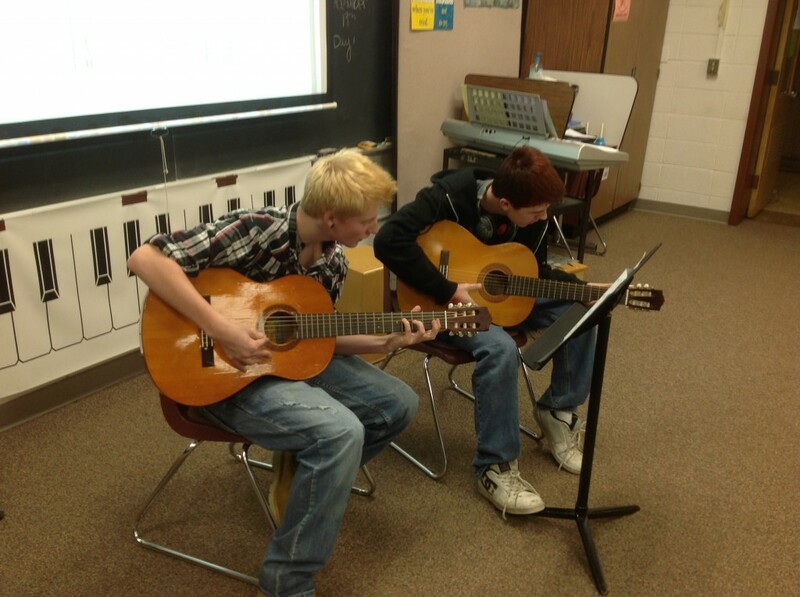 This year students from all 3 Middle Schools participated in “Playing for Change Day”. An event which raises funds for Music Education in developing countries. The best acts from all three middle school talent shows last spring were invited to perform at the Cavalier Theater for their friends and supporters. 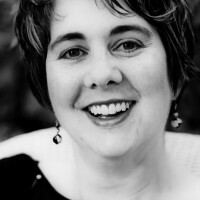 A free will donation was taken totalling $100 which was donated to the Playing for Change day foundation. See below for more info about “Playing for Change” and photos from our event.